Home Tags Posts tagged with "berlin film festival 2016"
Meryl Streep will chair the 66th Berlin Film Festival jury in 2016. It will be the first time Meryl Streep has served on a festival jury, and the Oscar-winning star said she was looking forward to it “with great relish and anticipation”. Meryl Streep, 66, shared the Berlinale’s Silver Bear award with Julianne Moore and Nicole Kidman for their performances in The Hours in 2003. She was also awarded the festival’s lifetime achievement award in 2012. “The responsibility is somewhat daunting, as I have never been president of anything before,” Meryl Streep said. The festival’s director Dieter Kosslick described Meryl Streep as “one of the most creative and multifaceted film artists”. The jury chooses the winners of the awards at the festival, which will run from February 11 to February 21, 2016. 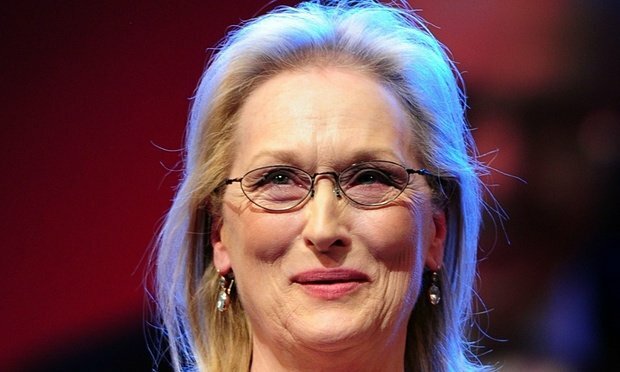 Meryl Streep has amassed 19 Oscar nominations over more than 35 years. She has won the best actress Academy Award twice – for The Iron Lady (2012) and Sophie’s Choice (1982), as well as best supporting actress for Kramer vs. Kramer in 1980. Meryl Streep is currently appearing on the big screen in Suffragette and will next star in Stephen Frears’ Florence Foster Jenkins – the true story of a New York heiress who dreamed of being an opera singer, despite having a terrible singing voice.